We’ve thought of the perfect way to help you do just this! Create a Baby Time Capsule with your signature OH BABY tin packaging. With a gracious acknowledgment to our Past, Present, and Future; Maybe a Great Aunt or Grandmother would like to add a Family Heirloom. Your Best friend made adorable booties, or baby’s first outfit; and it wouldn’t be a Baby Time Capsule without Baby’s Hospital bracelet, some precious photos, and even your Baby Shower Invitations! The critical thing to remember, is that time with a new baby will pass quickly so capture and hold onto those moments and keepsakes. Because you might want to present your not so little Princess with her very own Baby Time Capsule that you made for her when she was born; since your Daughter is expecting her first baby! Your Baby Time Capsule could very well be the start a Family Tradition; so be creative and make this keepsake from the heart. 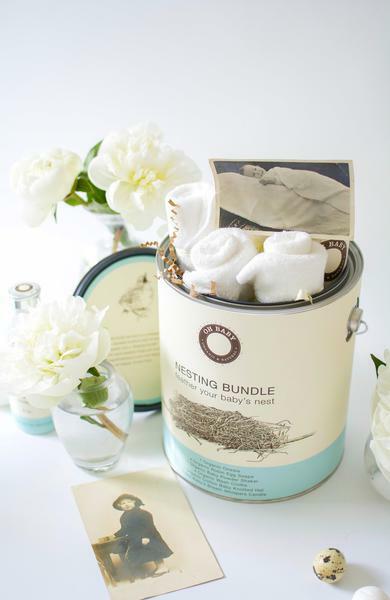 You might also like to have a Baby Time Capsule set up at your next Baby Shower so that the guests could add a little-handwritten note or keepsake trinket for the pending newborn. Venetian Decor OH BABY will be Launching a few little extras to assist with putting the finishing touches on your Baby Time Capsule!